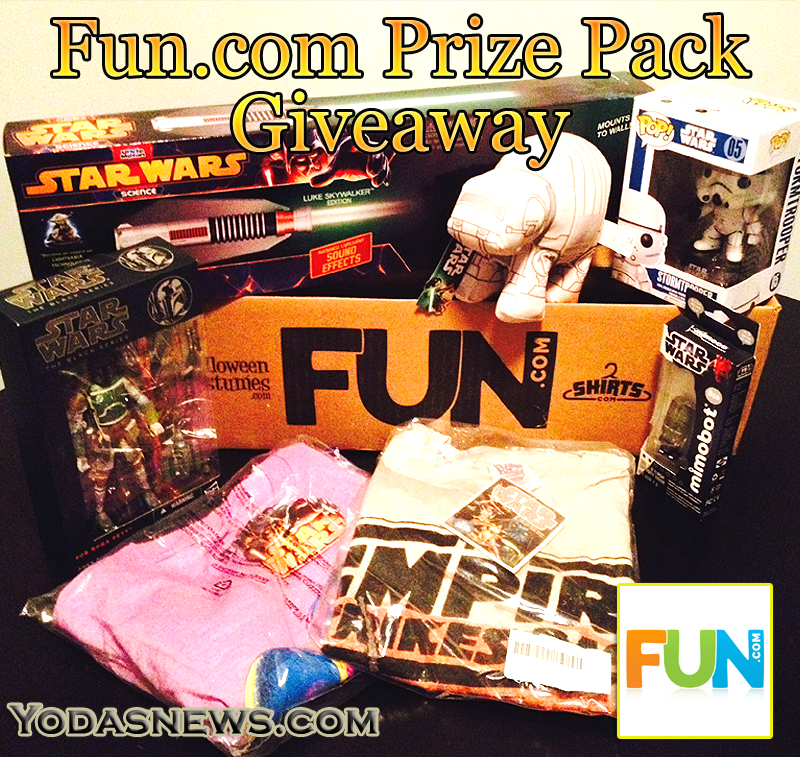 New Giveaway from Yodasnews and Fun.com – Win Great Prizes! To enter to win, send us an e-mail to YodasnewsGiveaway@gmail.com with the subject line “Fun.com 2015 Giveaway”. Please include your full name and mailing address. ONE ENTRY PER HOUSEHOLD. We will pick one winner at random on or around 4/2/15. Entry period begins on 3/25/15 and ends on 3/31/15 at 11:59pm EST. Good Luck and be sure to check out FUN.com and Shirts.com for all kinds of cool stuff! └ Tags: New Giveaway from Fun.com - Win Great Prizes! 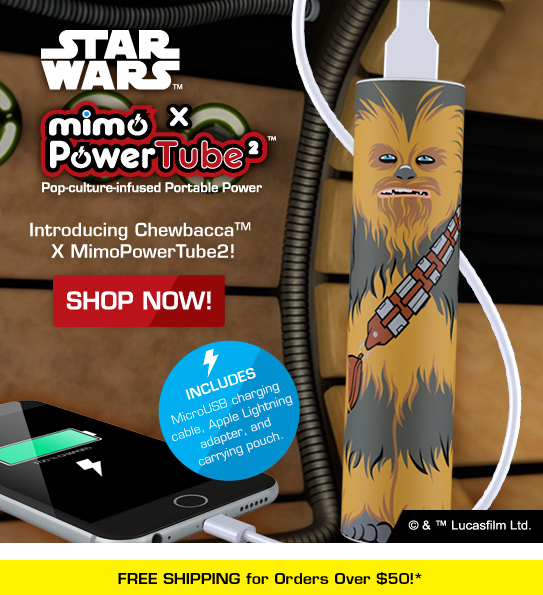 Last week, Mimoco released portable power from a galaxy far, far away…Star Wars MimoPowerTubes! The first 4 offered are C-3PO, Stromtrooper, Luke Skywalker’s Lightsaber and Darth Vader and we have a hands on review of all four of them! 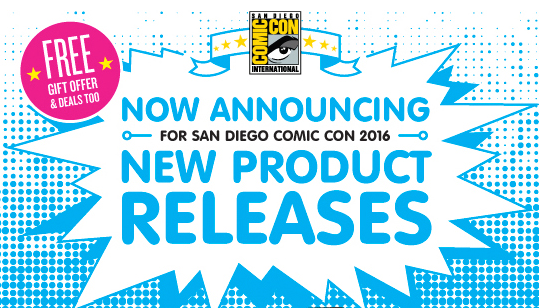 Click Here or below for our full review of these awesome and very useful new products! From the officially licensed Star Wars x MimoPowerBot Series 1… “I am your father. And a ruthless Sith Lord. And a backup battery charger. But mostly a ruthless Sith Lord.” With 5200mAh of the Force in your hands, you’ll never run out of juice… just don’t get on his Dark Side. 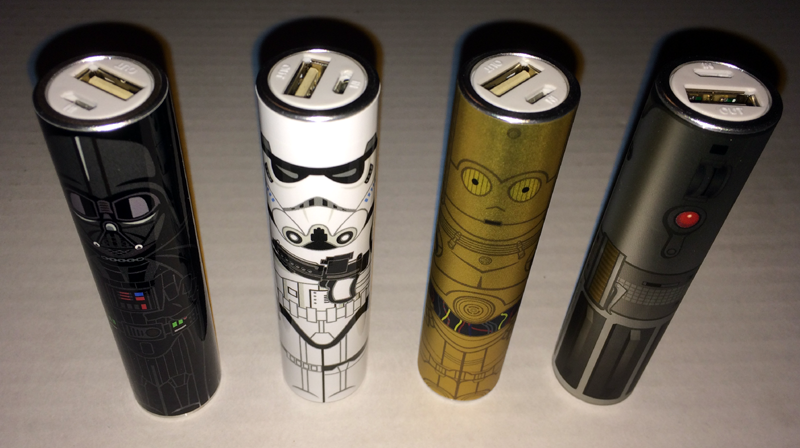 Darth Vader MimoPowerBot is a portable rechargeable backup battery that powers up smartphones, tablets, and other 5V mobile devices on the go. R2-D2 MimoPowerBot is a portable rechargeable backup battery that powers up smartphones, tablets, and other 5V mobile devices on the go. 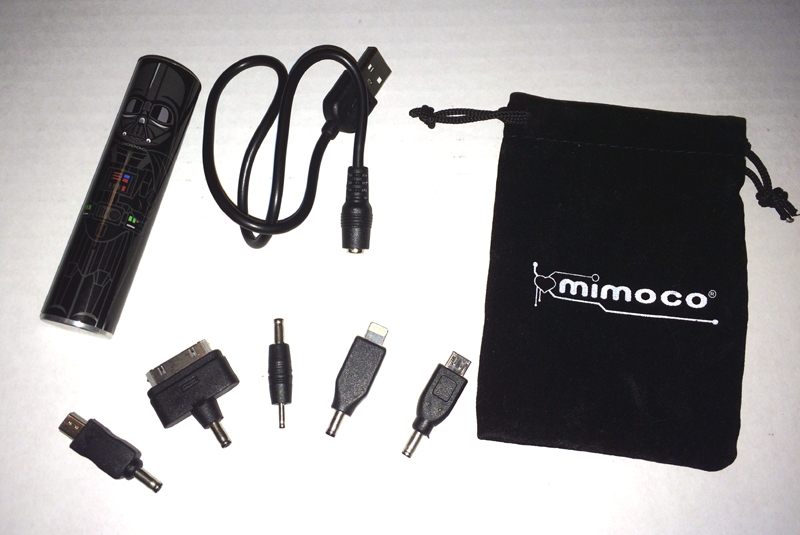 MimoPowerBot includes a USB charging cable with multiple tips (microUSB, miniUSB, Nokia, Apple 30 pin, Apple Lightning) and a carrying pouch to stash it all in one place. Product ships October 2014! Last Day to Enter to Win! Mimoco Giveaway! 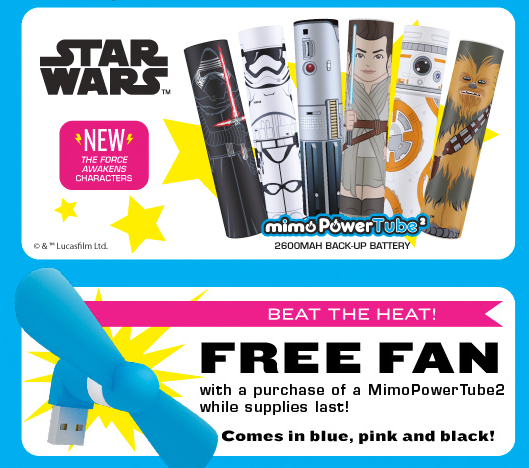 Yodasnews has teamed up with Mimoco to bring you a brand new giveaway. The giveaway starts now (5/27/14) and ends on 5/30/14 at 11:59pm EST. 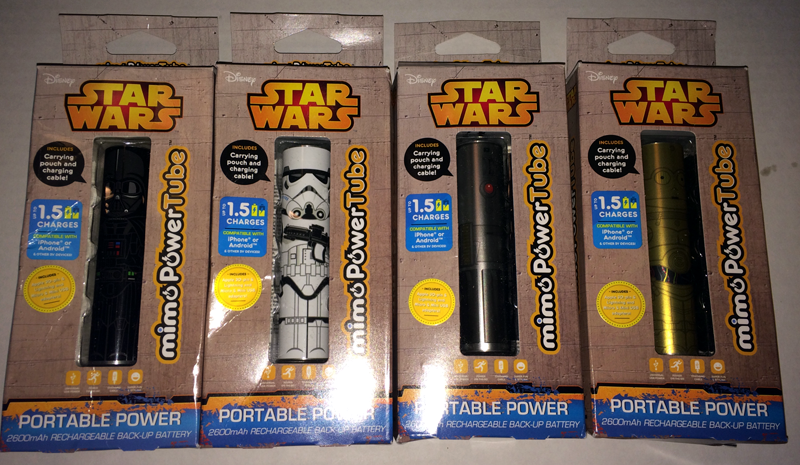 The winner will get 3 rare Star Wars Mimobot 8GB flash drives. (1) Snowtrooper, (1) Luke Hoth and (1) Wampa. There are THREE possible ways to enter and one BONUS ENTRY. You are welcome to enter for each of the four (for a maximum of 4 total entries), but only once for each. Multiple entries will void all entries. Please read carefully below on how to enter. 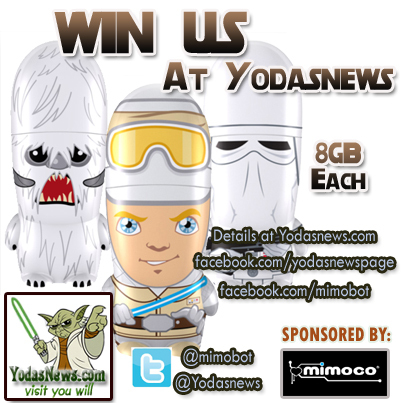 Gain 1 Entry – LIKE both the Yodasnews Facebook page and the Mimoco Facebook page. 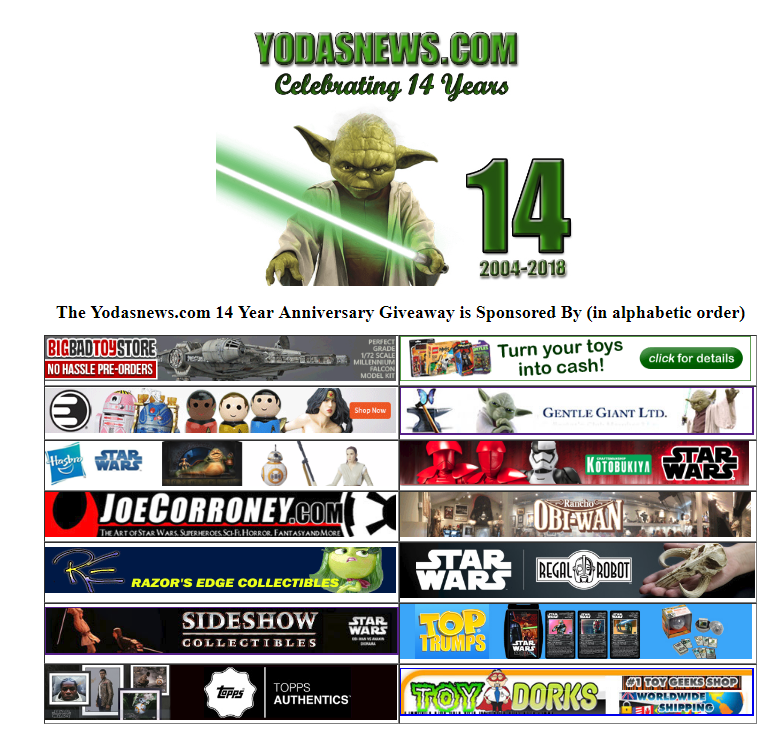 You MUST e-mail YodasnewsGiveaway@gmail.com, with the subject “Social Media Entry May 2014” after you have liked both. If you already like both pages, you still need to e-mail the address above to get your entry. BONUS ENTRY – Follow this link and sign up for FREE to Receive exclusive offers and promotions from Mimoco. We will pick ONE random winner from all eligible entries on or after 6/1/2014. This is open to Yodasnews.com readers WORLDWIDE! International winners are responsible for any fees and taxes, as charged by their government at the time of delivery, and we MUST have a valid address and phone number or the order can not ship.